Lake Eufaula (Walter F. George Reservoir) is now 45 years old. This lake consists of 45,181 acres of surface water and is 87 nautical miles in length. With 640 miles of shoreline Lake Eufaula has a lot of water for wintertime anglers to explore, mostly in solitude. During the spring, summer and fall the lake can get crowded. But during the cold months of winter anglers searching for Lake Eufaula’s big, largemouth bass will discover they can have many fishing holes all to themselves. That’s not to say the bass don’t cooperate, for not matter what the season, they have still got to eat. 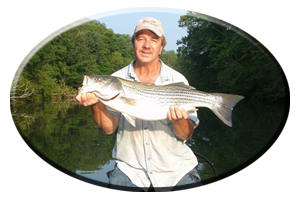 Many anglers come to Lake Eufaula well prepared in their search for a true, trophy sized bass. Rightfully so, for this huge impoundment on the Alabama / Georgia border has produced some very quality bass, not only in numbers of bass but in addition, there have been plenty of ‘big bass’ (those exceeding 10 pounds), taken in years past. Since this lake on the lower Chattahoochee River System was impounded in 1963, I’ve seen dozens of really big, largemouth bass taken. Some by me and many by the clients that have fished with my guide service. Still, no matter how prepared most Eufaula anglers are, they are all usually lacking in one thing that they must always bring along on any trip. That is, if they want to successfully tackle these often sluggish and very temperamental largemouth bass of winter. Confidence. Yes confidence, You hear this word all the time in fishing circles. Tournament anglers must have it on every cast they make. That goes for anglers in search of these often elusive Lake Eufaula bass. Even a bank fisherman must have a little confidence in order to be successful at catching fish. Lacking in confidence often results in you lacking in fish by the days end. If you come to Lake Eufaula this winter and a sudden cold front hits this somewhat shallow lake, it can really make finding these largemouth bass a very tough situation. Often resulting in no bass at all or very few bites in a days time. So you may say, “what’s so good about that?” Nothing really, that’s just fishing during the winter season. Cold fronts slow these bass down and warm fronts speed them up. So timing is everything. Planning a trip to Lake Eufaula this winter season? Then plan you trip accordingly to be successful and have a pleasant stay while your there. If its been unseasonably warm for a week or two, these bass can suddenly move shallow and feed. Air temperatures in the 70′s often occur throughout the south during January and February. Lake Eufaula is situated far enough south, that these warm winter days and nights can really heat up the lake’s shallow water fast. It can be in the low to mid 40′s, like when following a typical winter cold front. Then suddenly, after a week or so of both warm days and nights the lakes shallow water temperatures can soar into the 60′s or often water temps can get even higher, with longer winter warming trends. This always induces bass to move shallow and feed no matter what impoundment your on and constantly warming shallow water on lakes like Lake Eufaula, means the majority of the bass population moves shallow to feed, right before the next major cold front arrives. This means anglers should be targeting shallow water next to deep water drop-offs or places not to far from the security of deep water, where winter bass make their homes until spring arrives. If a warming trend continues for more than a week then these bass may branch out to shallow flats often a little further from the security of deeper water. 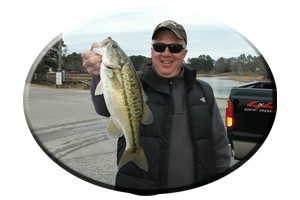 Fishing Lake Eufaula during the winter months narrows you lure selection as well. Although topwater strikes can occur at times this array of enticing topwater offerings can be discarded during winter’s general, cold water situations. But keep some topwaters on hand just in case. Or one rod rigged and ready for any sudden surface disturbance, like fish exploding nearby or the sudden appearance of fleeing shad schools evident. With a big, topwater lure like a zara super spook, you can reach these bass fast. But without winter warming trends topwater lures are usually not needed. That goes for the use of a lot of other lures, if your just arriving at Lake Eufaula (near the town of Eufaula on the Alabama / Georgia state lines) and wondering what to rig on your rods prior to your wintertime trip. To many lures to list. But there is a short list of lures you must have to fish for these bass in normal, cold wintertime situations on Lake Eufaula. Chances are, like during most well planned fishing trips during the winter, a sudden cold front can come along and often just ruin all your well laid plans. But it doesn’t have to. Especially if your fishing the right lures, in the right place, in the right manner and of course at the right time. Selecting the right lures means selecting lures for fishing in Lake Eufaula’s shallow water cover, like when fishing around weeds, wood and rock cover. It also means having an array of deep water lures as well. 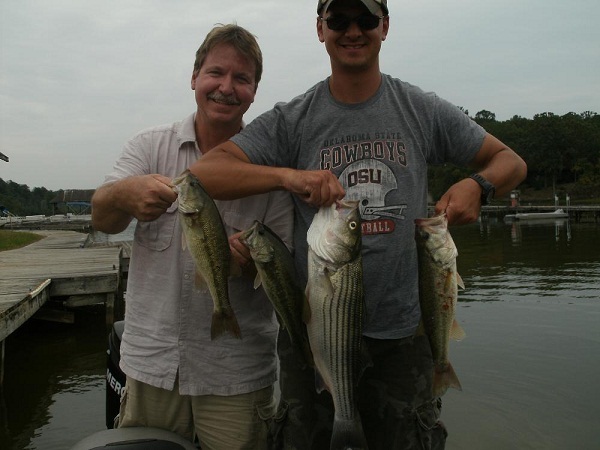 On any day on Lake Eufaula there are bass to be found in both shallow water and deep water situations. But it makes sense to be fishing shallow water during warming trends and very common to look for bass in deep water if its been cold. So here’s some suggestions for targeting both shallow water bass and deep water bass on Lake Eufaula this winter season. Like said, “you can narrow your lure selection”, that is if its been cold prior to your trip. But if its been warm and bass are shallow, then there may be many lures that will entice them to bite. Flipping, pitching and even swimming lures in and around Lake Eufaula’s shallow aquatic weeds is normally great, that is if there are some weeds to fish. With the lake down 3-4 feet for winter, this narrows your search. Many anglers use small worms on jig heads while others use big worms, Texas rigged. This goes for small lizards or big lizards as well. Other good lures for probing slowly around Eufaula’s weeds and wood cover are tube baits, crayfish imitations, creature baits, jig combos, weightless Zoom Trick worms and Yamamoto’s Senkos. 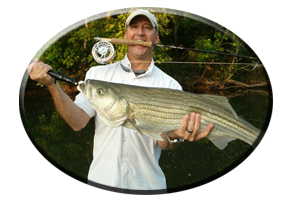 Spinnerbaits in small sizes, if fishing clear water, or bigger more gaudy type spinners, if fishing in stained water conditions are also good. Shallow running crankbaits, and both floating and suspending jerkbaits fished with a stop-and-go retrieve, are good lures especially with warming trends. These lures are good for covering water fast, while fishing slow, especially around rip-rap rocks found along bridges and causeways. 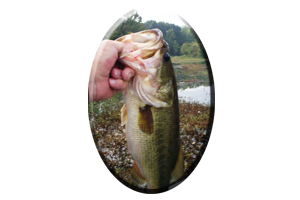 Deep Diving Crankbaits, Heavy Spinnerbaits / in the 1/2 ounce to 2 ounce sizes, and big worms in the 8-12 inch category. You can add to these, with 1/2 half ounce – to one ounce size lipless crankbaits, jig combos, or other lures fished in deep water. Just always keep in mind to fish slow, have plenty of patience and always BRING PLENTY OF CONFIDENCE! 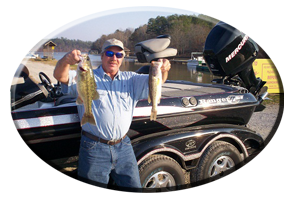 Making a trip to Lake Eufaula this winter season? Always call on Reeds Guide Service…first! Or make plans and book a two day, discounted instructional fishing trip, this year or next spring (discounted as well) and prepare for a day full of fishing tips, instructions, lure choice and years of compiled fishing stories and tales! Remember a guided fishing trip with Reeds Guide Service makes a great gift for Birthday’s, Father’s Day or Christmas (certificates available), for those loved ones that love to fish!